We were a little bit happy at the launch of the 2017 Hot 100 Wines in December to learn that our 2015 Nocturne Adelaide Hills Tannat was included in the Structural and Savoury Reds category. It's very satisfying to have the Nocturne recognised by a competition that seeks "to find and celebrate the most drinkable wines in South Australia", and humbling to be listed among some great South Aussie wine producers. The Hot 100 tasting note for the Nocturne was: "Lovely bright crimson in the glass. The vibrant aroma features a touch of eucalyptus, while the palate shows freshness, generosity and is pleasantly chewy." We'd like to thank Opinion Media and The Adelaide Review for putting together such a well-organised, consumer-friendly competition, and the Hot 100 judges and stewards for working through the record number of entries for 2017. We'd especially like to thank two of the best grapegrowers in the Adelaide Hills, Ann Lees and Adam Loveys, who grow most of the fruit that makes our wine, including the Tannat. Two of our most popular reds have returned just in time to stave off the mid-winter blues. The 2016 Blacklight Barossa Mataro Grenache's timely arrival coincides with the last of the well-received 2015 vintage shipping out. The 2016 has delivered on all the best features of Blacklight: blood plum, stewed cherries, blueberries and violets dominate an evocative nose, while the complex palate features bright notes of glacé cherry, red currant and raspberry balanced by plum crumble, anise and black pepper, with the long, compelling finish showing cigar box and amaro. The 2016 Woodside Pinot Noir returns after a long absence following the sell-out performance of the 2015. The Woodside is our unpretentious, super slurpy, light-bodied Pinot that promises Spring is not far away. It's got a brilliantly lifted nose of satsuma, cranberry and cherry liqueur, leading to dried herbs and flowers with hints of mushroom and forest floor; and a palate that opens with sour cherries and fresh raspberries, followed by baked quince and feijoa with bramble-patch and potpourri in the background. We've also released a 2015 Clare Shiraz that's not a regular in our line-up, but we thought it was so good it needed to be shared. It's a dark and spicy medium weight Shiraz that's smashable, well-balanced, and has great fruit sweetness and fine, soft tannin. We were very excited to be included in the 2017 Young Gun of Wine Top 50, announced on May 10 in front of over 250 wine and food icons, and wine enthusiasts, at an event held at Circa and the Prince Bandroom in Melbourne. The Top 50 was chosen after a two-day tasting by the judges of multiple wines from around 200 winemakers. Judges included Nick Stock, Mike Bennie, Emma Farrelly, Philip Rich, Pip Anderson, Josh Elias, Rory Kent, and Josephine Perry. Congratulations to the eventual award winners, including Michael Downer of Murdoch Hill, who was named Young Gun of Wine for 2017. We’re pleased to announce the arrival of three delicious, seasonal wines. The popular Blacklight has returned, with 2015 producing a highly drinkable winter wine that unites the best of Mataro and Grenache. 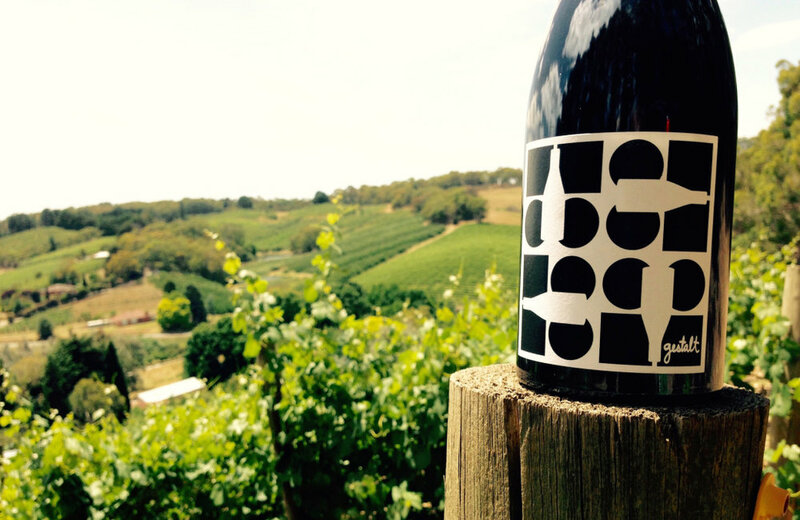 The other two new releases showcase premium Adelaide Hills Chardonnay and Pinot Noir. The 2015 Espalier Chardonnay has beautiful perfume, structure and elegance, while the 2015 arcana Pinot Noir has a complex array of flavours on a juicy palate structured around fine tannins. Tasting notes are available under current releases, and you can purchase these new wines in our online shop. Please join us to celebrate the release of our delicious 2015 wines. We’ll be pouring Woodside Pinot Noir, Serotina Grenache, Lenswood Gewurztraminer and The Fugue aromatic white, and serving charcuterie and cheese boards. Tasty food and wine, what more could you ask for? Please contact us if you have any questions or queries. We’re excited to announce the release of four new 2015 wines, including the Woodside Pinot Noir, our first Pinot since 2013. The Pinot Noir is joined by the popular Lenswood Gewürztraminer, the Serotina Grenache Shiraz, and a new white blend of Savagnin, Gewürztraminer and Petit Manseng called The Fugue. Tasting notes are available under current releases, and you can purchase these delicious new wines in our online shop.